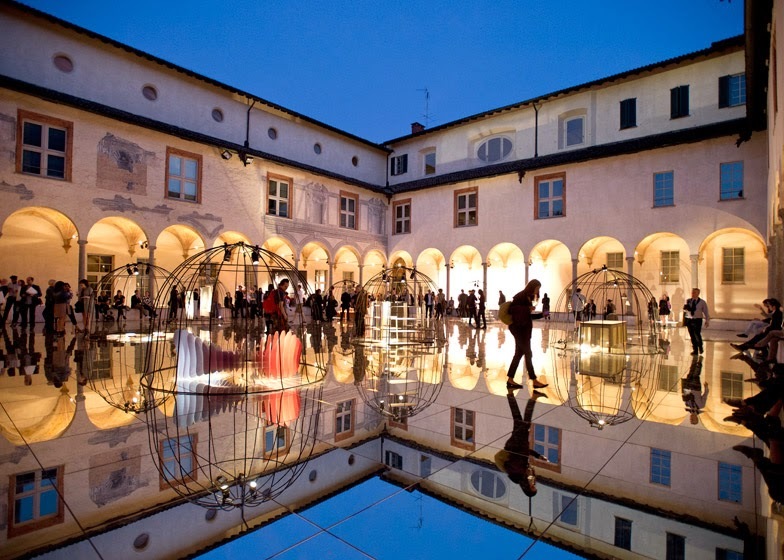 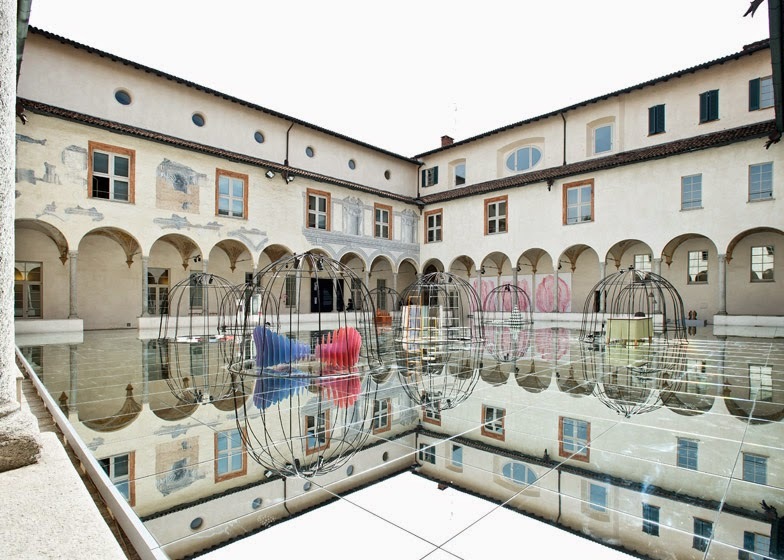 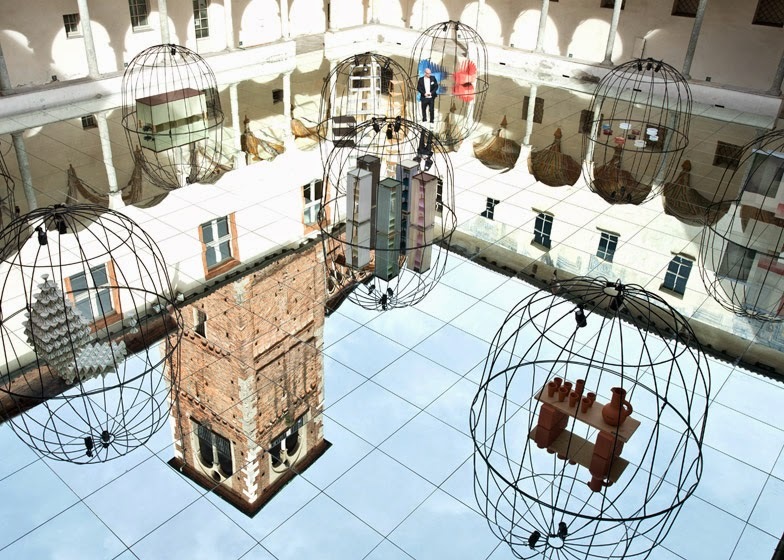 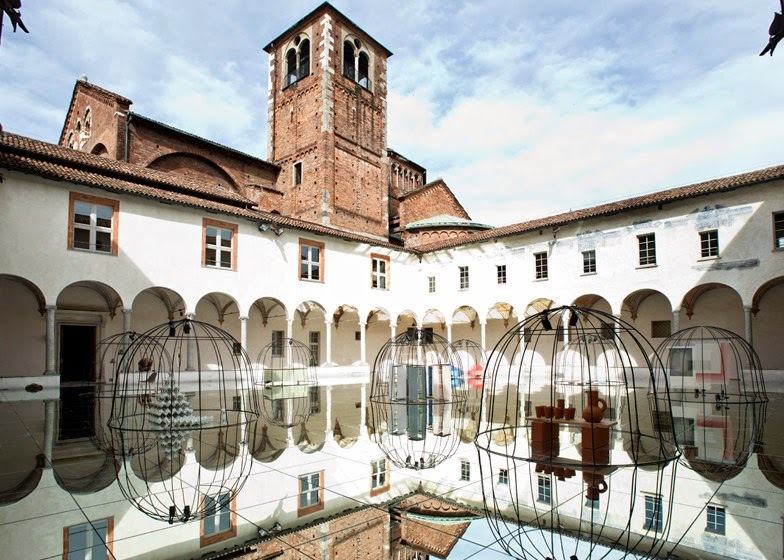 A Milanese cloister has been covered with mirrors to form an exhibition of Danish design. 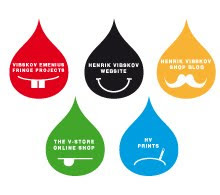 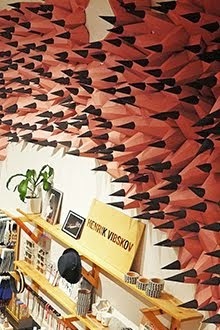 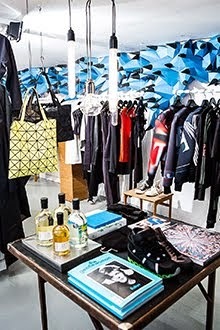 Fashion designer Henrik Vibskov was asked to make an umbrella for the show. 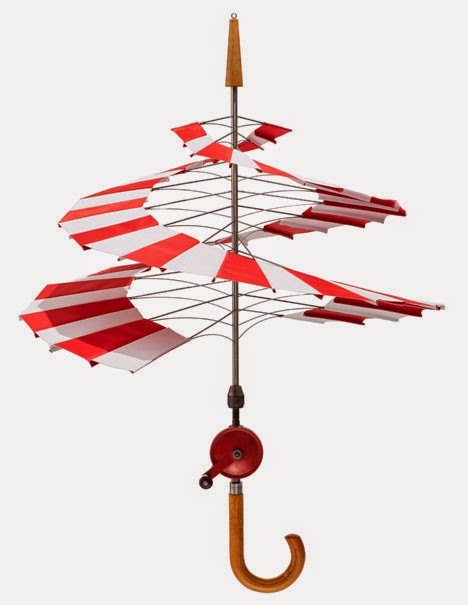 Although his object has a similar shape to an umbrella, and is made from the same materials, its canopy has been deconstructed to form a red and white spiral that references the double helix of a strand of DNA.